So it is our Penticton Shooting Sports Assoc Work Party & come noon time will be a lovely roast, potatoes to carrots, onions to gravy that the Building & Gronds charman has his wife do. Fantastic I can assure you. One of the trap shooters came into help us rebuild the target area. He was from Germany, but the two of us got along so darn well. His humor was so darn good. Remember the incident in New York along with some still colour photos we sa that was almost waist deep, with water comming in at the bottom of the founding, tack on a maze of switches. As he put it, but they were okay what with rubber boots. Between the two of us that seemed so true to worst. Actually how they got it all corrected is amazing not to mention so many buildings that were downed to or into trouble. Considering all the electricity that New York uses, it is amazing that all things sort of straightened up. I speak with some experience for since yesterday I can dial in best of music from a channel called Icebergradio-----------so really how did they manage to do it all????? Is Harper NUTS??? or just the biggest sucker in Canadian history? We can't afford this, plus why are we footing the entire bill and paying a toll on it? How is this deal good for Canada? Plus what is wrong with Michigan? They get a free bridge, no tolls, no maintenance and they want a decision by ballot? It's a no brainer for them and our No Brain Prime Minister is giving away our money. I think there is a lot more important things like our Medical system and Schools that could do a lot more with that 1 billion. Not to mention the aging infrastructure around the country. This is a bad deal and what you get when you give Harper a majority. He has 2 more years before an election, and we could be bankrupt by then. You think we have high taxes now, just wait, they will be going up while he is still in the big chair. In June, Prime Minister Stephen Harper and Republican Michigan Gov. Rick Snyder signed an agreement that states Canada would pay for Michigan’s $550-million share of the approximately $1-billion bridge. Under the agreement, Michigan wouldn't be obligated to pay any of the anticipated $1-billion cost of the bridge. A Canadian entity would handle design, construction and operation of the new span, which would connect Windsor’s west end to the Delray community in Detroit. Ottawa will make annual “availability payments” to fund the design and construction of the crossing as well as for the operation and maintenance expenses during the terms of the public-private partnership agreement. No tolls will be charged in Michigan for use of the bridge. Canada will charge tolls, which will be used to reimburse the Canadian government for the funds spent to build the span. Canada will pay all costs of the required land acquisition in Canada and Michigan. It also will pay to construct an interchange to connect the crossing to I-75. The public-private partnership agreement and the request for proposals must contain provisions for community benefit plans and for the involvement of affected communities in Michigan and Canada. Hurricane Sandy's victims are going to have to wait 3 more days or more to get their heat back, BUT that didn't stop the power company from sending out bills. I should be shaking my head at the stupidity of the timing, but I'm not surprised. So what if you don't have power for over a week, here's your bill. Needless to say those people made a beeline for the company's office and to say they blasted them would be an understatement. The TV news showed a video of them and they were pretty angry. Who can blame them, some lost their homes, others some possesions and repairable damage to their house, but the company doesn't care. Pretty harsh when the people have been through so much and Mother Nature threw them a few curve balls including dropping temperatures and snow. Thinking was lost on this day. 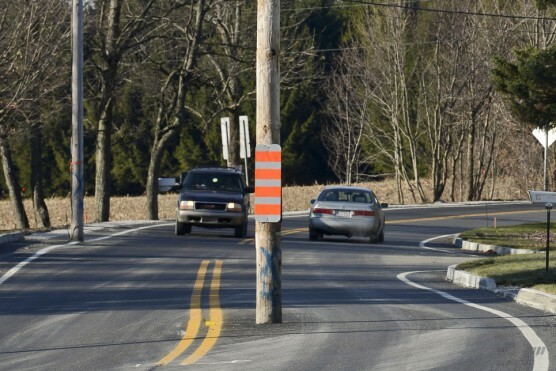 No one was thinking that they should double check before leaving an electric pole in the middle of a Quebec highway. Poor communication is no excuse, they should have used their heads and removed it right away. They are just lucky that no one was hurt during the 2 months it took to right the wrong. It's amazing how they can say it would take a while to remove it, yet the moment it hit the press it was removed. No accidents were reported as a result of the bizarre phenomenon of infrastructure planning — or lack thereof. Players involved in the project blamed poor communication for the fact that the pole wasn’t removed in time from the path of a newly paved road. Who thought that using shredded official police records and other sensitive info for confetti was a good idea? Major, major error, someone really screwed this one up. While students told them what they found, others will not be as nice. If some crooks caught on to this, they could be having a field day right now. Macy says not them, but wouldn't they notice the difference between small scraps of paper and long scraps of colorful shredded material? Someone is in deep trouble over this. Right now I am thinking of the thousands of women & few men that were burned to death in that one sewing factory in Bangladesh. There the were load out for such a long row of dead people of this sewing factory. It was had to believe & darn little was on the TV News. Some six years ago I bought two of the same 100% Polyester, because it fit well, good pockets & the zippers never failed compare to zippers on clothing made in Japan or China. So this is ideal to me. When it is cold outdoors it is cold inside my basement den & THAT is the jacket I put on to stay warm as I usually deop the temperature gauge quite a bit after a meal & being down here. Fact is the oldest one is showing signs of wear & might shift to the spare one as both are that good. I just had to look up this country & amazed it was so small compared to India & other countries PLUS it seemed their profession was the best of sewing, but so many firms like Hudson Bay to Walmart this was the ideal place to buy from, but with all the fire & death what will the others do now? For this seems to be their TRADE. I honestly feel if a m/c jacket was made there to leather gloves for m/c competition THEN I would not hesitate to buy from them. Both have to be good for they are the best of protective m/c racing to riding gear one can possibly obtain. Yet here is their sort of end. If this was on the newspaper or TV news Programs I cannot find it, but one American m/c rider included the rows or dead people in one m/c board that opened my eyes. THIS was the trade of that small country, not electrical things like China to Japan, no aircraft or such---it was sewing. I'm not surprised this has happened. Judges helping out their friends, but the question is WHY would you risk all of your hard work to fix tickets? I would bet that all of the friends that they helped are going to save their own butts and leave their buddies out to dry. Get caught speeding? Running a red light? Leaving the scene of an accident? For years, it was no problem, authorities say -- so long as you were in Philadelphia and knew the right people. The city's traffic court was the place where moving violations went to die, according to a federal indictment that charged nine judges with fixing tickets for friends, relatives, business associates and political allies. A "widespread culture of giving breaks on traffic citations'' persisted in the city, federal prosecutors alleged, though everyday citizens were out of luck. Only the well-connected got breaks. A lot of people park in their DRIVEWAY and do not have a garage or Carport. Also a lot simply park on the road next to their neighbor which helps block up the trucks with blade & sanding gear. Fact is the RCMP have moved to a new location. I asked three couples that were like me & had not attended the open house like myself, to also knowing where the RCMP HQ was not known. Some 5 or 6 people did NOT know where the RCMP HQ was. I did receive some vague guidence from a shop that sells tires. FINALLY found it & was amazed that this massive building was the RCMP HQ. The only hint was an RCMP car parked on the road for they do NOT nave a parking place for their staff vehicles or a visitors. That shows you they were that much out of knowedge when before they had use an ex-restaurant, not a good place, but they had room to park 4 to 6 vehicles & signs standing out saying RCMP office. Something wrong there for that one squad car souid be the one that obtains the warning sign due to not a proper place to park. The city traffic court noted in that post up there reminds me that I very recently saw something about the United States Postal Service contending in some U.S. city that the USPS can't be held accountable by local authorities for traffic violations. I don't remember where I read that, but maybe I can find a link, if I saw that online. On another note and this one will have Whiskey drinkers crying. This is definitely a BIG OOPS! I wonder what the cost of the lost whiskey was. What a waste. Workers at Chivas Brothers plant in Scotland have accidentally flushed thousands of gallons of the company’s whiskey, instead of its wastewater, down the drain. The accident happened Tuesday at the Chivas Brothers plant in Dumbarton, Scotland, where about 600 workers are employed. A spokesman told NBCNews.com that the company produces multiple brands of whiskey at the site. The company said the amount of whiskey spilled was less than the approximately 5,000 gallons reported earlier in other media, but declined to give exact figures. Chivas Brothers is a major producer of whiskey whose brands include Chivas Regal, Ballantine’s and The Glenlivet. The whiskey was released into a wastewater plant and didn’t make it into any surrounding waterways, the spokesman said. He declined to provide his name, citing company policy. The plant is back up and running, but the company is reviewing its procedures to make sure nothing like this happens again. Oh, and the company assured NBCNews.com that there would be no shortage of the 'water of life' as a result.